November 27 marks this year’s #GivingTuesday – a movement dedicated to kicking off the holiday season the right way, encouraging people to give time, donations, goods or their voice to help those in need. #GivingTuesday also marks the kick-off of our employee giving campaign – the “Power of Good.” Year-round, employee donations are boosted with a 50 percent match from our corporate foundation to further extend our support of the dedicated nonprofit organizations that serve our communities. 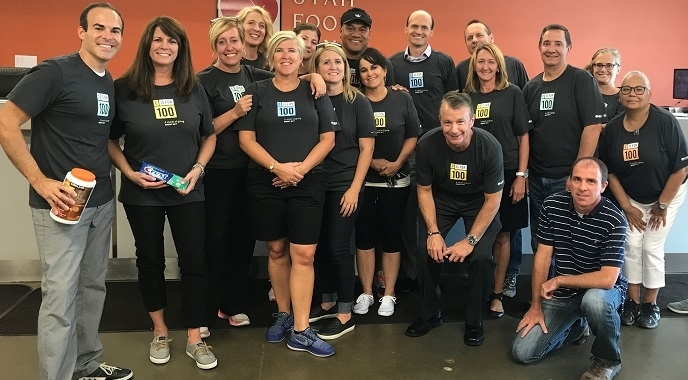 At Regence, we like to say that giving back is part of our DNA – an important part of what we do. Alongside our community partners, we are committed to improving the health and well-being of the people and families in our communities. Below are some of the great organizations we partner with throughout the year – across Washington, Oregon, Idaho and Utah – helping people and families facing homelessness and hunger this holiday season. We encourage you to join us this #GivingTuesday and beyond, to make positive change in our communities. Mary’s Place – provides safe, inclusive shelter and services in greater Seattle that support women, children and families on their journey out of homelessness. The No Child Sleeps Outside campaign launched earlier this month, and is raising awareness and money to open and operate an emergency family night shelter in downtown Seattle. Learn more about this campaign and how you can get involved. Tacoma Rescue Mission – working with people at all stages of homelessness, addiction, or other life challenges, offering proven services and support facilities in Tacoma. Union Gospel Mission – supporting homeless individuals in Spokane through a home-cooked meal and a warm place to sleep as well as programs to achieve long-term solutions. Community Action of Skagit Co. – programs that meet the basic needs of people struggling to make ends meet with the goal of alleviating poverty and helping people attain a level of self-sufficiency. United Way of Columbia-Willamette – works to keep vulnerable families housed and stable in Portland. New Avenues for Youth – dedicated to the prevention and intervention of youth homelessness by supporting basic needs like meals and counseling, plus providing opportunities for education, job training, employment, and housing. Idaho Foodbank – provides free food assistance in Idaho. With warehouses in Boise, Lewiston and Pocatello, the Foodbank has distributed more than 135 million pounds of food to Idaho families. Second Harvest – delivers free food assistances to help people and families in need in Eastern Washington and North Idaho. Volunteers of America – provides services in Salt Lake City to homeless youth and adults, and Utah’s Center for Women and Children, a residential detoxification center for homeless women and children. Habitat for Humanity – devoted to building "simple, decent, and affordable" housing for families in need.